The Picts are a ‘lost people of Europe’ and have an enduring public fascination. 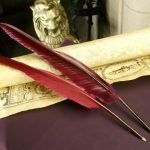 They were first mentioned in late Roman sources and their territories went on to become some of the most powerful kingdoms in northern Britain. They lived during a crucial period of European history, when the kingdoms of medieval Europe and the roots of modern Scotland began to form. Since 2012 the University of Aberdeen (in collaboration with partners) has been co-ordinating a survey and excavation project known as Northern Picts. 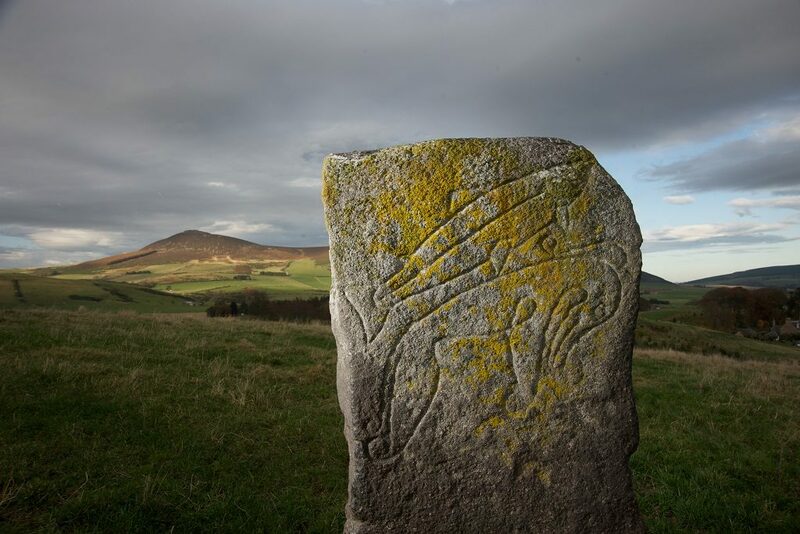 The project aims to uncover archaeological traces of Pictish society in northern Scotland. So far the project team has had some spectacular successes: we’ve begun to uncover Pictish power centres and discovered a major silver hoard. We’ve even scaled sea cliffs to discover forgotten Pictish forts. One of the key sites of our project is Rhynie in Aberdeenshire. 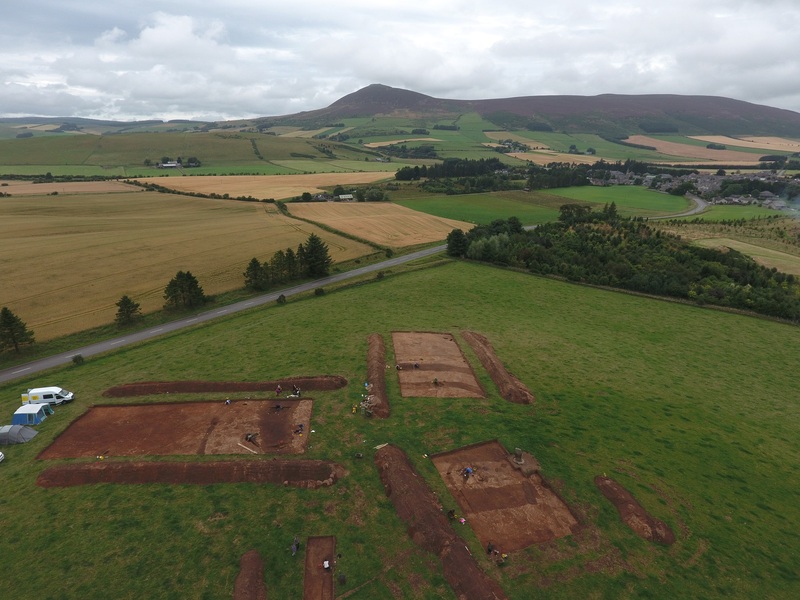 Work here – funded by Historic Environment Scotland – has revealed a Pictish power centre. 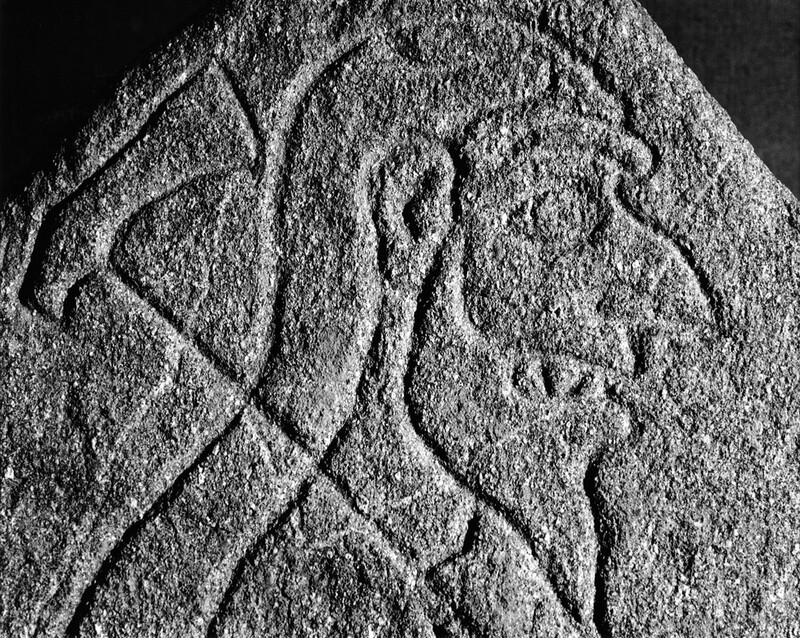 The Picts left behind few historical sources, however they did leave a rich legacy in the form of a series of enigmatic carved stone monuments, found throughout northeast and northern Scotland from Fife to Shetland. A group of these carved stone monuments are at the heart of our investigations at Rhynie – the name of which comes from the early Celtic rīg, meaning ‘king’. That etemology, combined with our findings at the site, suggests Rhynie was an early Pictish high status place (perhaps a royal residence) during the 5th and 6th centuries AD. Excavations of Rhynie in 2011-12 uncovered a series of fortified enclosures where one symbol stone, the Craw Stane (see feature image), still stands today. Two others, including the iconic Rhynie Man, were discovered there in the 1970s. The Rhynie excavations have revealed a rich material assemblage including pieces of Late Roman wine amphorae of 6th century date from the eastern Mediterranean, as well as pieces of glass drinking beakers from France. Artefacts like this are exceedingly rare for this period. They show that the Picts had access to trade networks connecting them to as far afield as the Byzantine Empire. 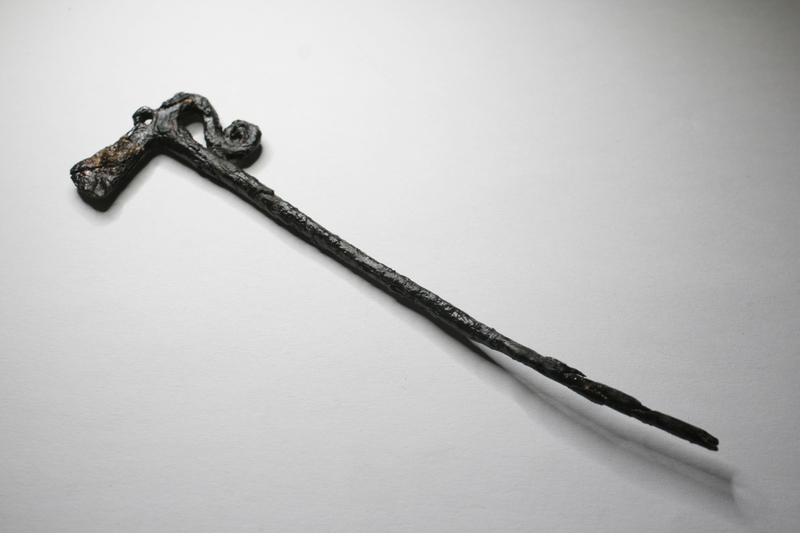 Metalworking evidence from Rhynie includes moulds, crucibles and tools for production, as well as finished objects like decorated pins and weaponry. These show that Rhynie was a major centre of production of high status metalwork. We’ve also found traces of a cemetery from the same period that went alongside the fortified settlement, and uncovered the remains of Pictish burial mounds. The HES-funded 2016 excavation season at Rhynie revealed yet more evidence associated with the production of high status metalwork, including dozens of moulds for making brooches, pins and mounts. Ongoing work at Rhynie aims to uncover more of this powerful Pictish centre. Dr Gordon Noble is a Senior Lecturer and Head of the Department of Archaeology at the University of Aberdeen. Great article, it would be interesting to get some DNA information from any remains you find to give us a clue what the Pictish DNA looks like. For example some of my family are a part of the L1 sub haplogroup. I have thought it might be because the ancestors might have been Picts.